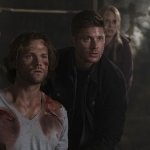 If you had to sum up the latest episode of our beloved show, it would be “Supernatural Meets Clue.” The boys had themselves an honest to goodness murder mystery, with a few spooky twists thrown in, and a nod to the future problems that may arise in the Winchesters’ lives. It was a great one-off episode that gives us one last breather before getting back into the heavy seasonal arc that’s building up. Was it Colonel Mustard in the library with the candlestick? What brought the boys to the lovely, yet destructive manor was the promise of an inheritance. 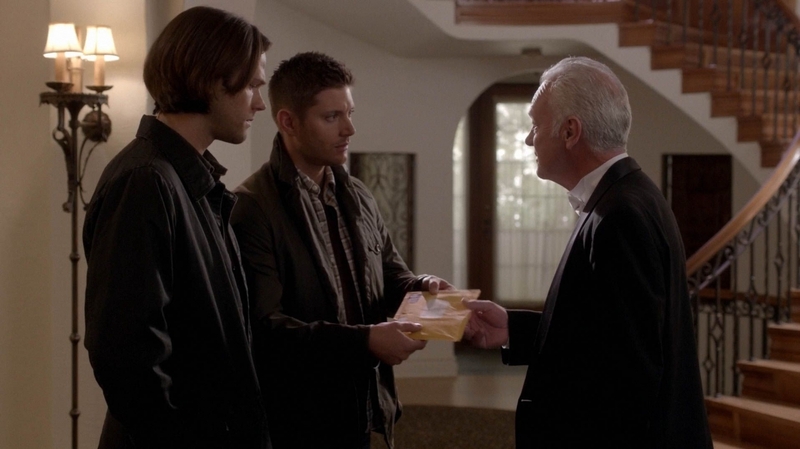 Well, it was Bobby’s inheritance, but being his next-of-kin, Dean thought they were entitled to it. When some rich lady dies and names you in the will, you go see what she’s left you. So, with untold riches calling to him, he and Sammy hit the road and headed right into a case. Yes, even when they think they’re on downtime, the monsters just seem to find them. It’s the Winchester gift — or curse. This time the monster-of-the week was what appeared to be ghosts, a husband and wife team, but turned out to be a shapeshifter. Not just a regular one either, but one with a history and a long-standing grudge against the boys’ surrogate dad. The newly departed Bunny LaCroix had more than money stashed in her house. She had an illegitimate daughter, Olivia, hidden in the attic; one that was half-shifter because of Bunny’s little affair when she was younger. Now that mom’s gone, daughter-turned-undercover-maid can wander out into the open and mingle with her family, as well as kill off anyone who gets in her way. All that alone time didn’t do her any good. I did have a lot of fun throughout the episode spotting all the Clue references. Did you catch them all? There was the lead pipe and rope in the attic, and even a copy of the game stashed up there. Then there was the wrench that Dean used as protection, Sam got the knife in the kitchen and found Phillip stabbed in the back with one, Dean used the candlestick as protection, and both Dash and Olivia used the revolver as a weapon. And there were nods to both the game characters, Mrs. Peacock and Colonel Mustard, as well as the film adaptation, with the mention of Tim Curry’s butler character Wadsworth. It was a pop culture fun time! The boys managed to have some nice exchanges in the episode, and they were both relatively happy and having a good time in the midst of all that murder. The women flocked to Sammy like he was a tempting piece of meat, and Dean enjoyed every bit of Sammy being uncomfortable. It was nice to see that relatively care-free nature between them. And Sammy admitting that he and his brother do get along, and do like each other, even though most families don’t. They’re back on the same page, it appears, and even if they can’t fit in with the high-society folks in the manor, they’ve at least got each other to rely on. But even when everything seems okay, we get the hint that the future might not be smooth sailing. When Dean came to the rescue and saved Sam from Olivia, he shot her… and shot her again, and again, and again. Overkill and over-reactions to be sure. 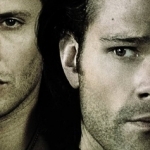 I wonder, along with Sam, whether Dean’s extreme actions have to do with the Mark of Cain. Even though Dean denies it, I think we can tell that the mark is holding power over him and that they’ve got to deal with it sometime. Onward to more adventure and more exploration. Here’s hoping Dean comes out the other side without too many battle scars.